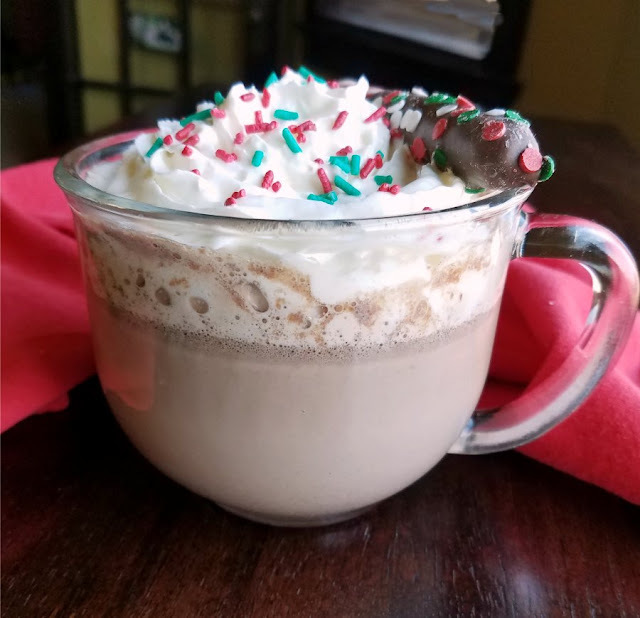 Come in from playing in the snow to a hot mug of rich, creamy and delicious hot chocolate. Making it in the slow cooker means it's super simple and hot and ready when you are. Hot chocolate is a must have on a cold winter day. 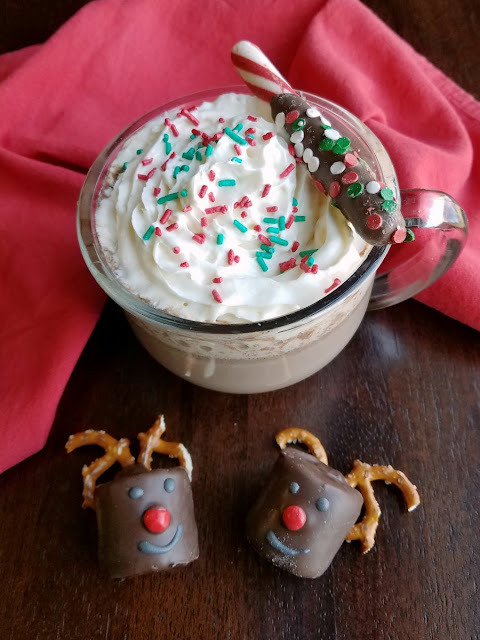 There is just something about coming in from an afternoon of sledding and snowman making and having a cup of cocoa waiting. 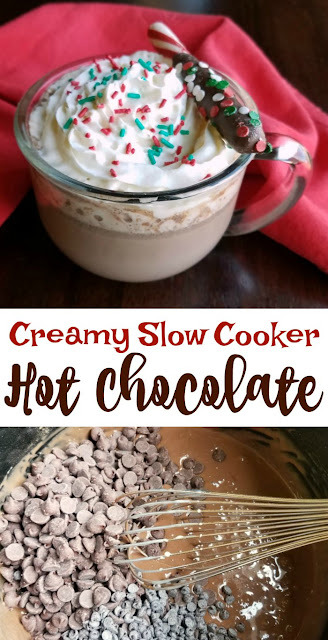 This version is super creamy and chocolaty and the slow cooker makes it while you play! 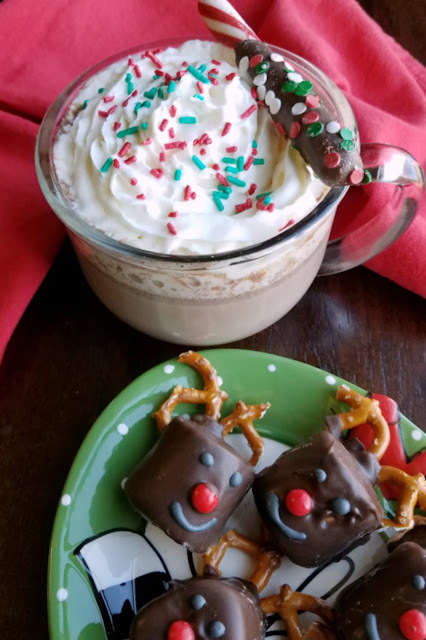 This year for Christmas I thought it would be fun to do a hot chocolate bar. I knew it would be festive and popular. Plus having several fun topping ideas meant everyone could customize it and make it their own. Making it in the slow cooker allowed people to get it as they wanted to without any work. Plus this version is so much creamier than anything you could get from a packet. All it takes is a few simple ingredients. I used a mix of dark and milk chocolate chips then added some cocoa powder to give it an extra chocolate boost. Some sweetened condensed milk added a the extra bit of sweet while also driving home the rich and creamy texture. A mix of whole milk and half and half made it super luscious. In a pinch you could use all whole milk, but for Christmas I wanted it to be extra special. This combination gave a really luxurious mouthfeel and delicious flavor. The best part is once everything is in the slow cooker, you get to walk away for a couple of hours. For me that meant I got to enjoy my family and the Christmas festivities while the chocolate melted. But that also makes it ideal for days of playing in the snow. Set it and go enjoy yourself. 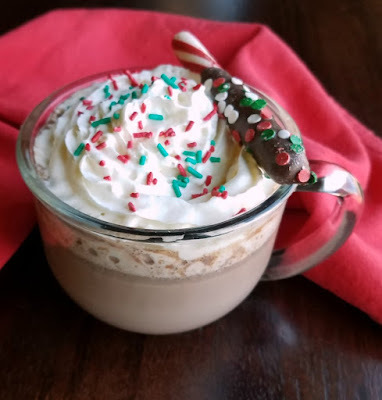 When you can't feel your fingers anymore, you'll love knowing a creamy cup of hot cocoa is waiting for you. In a slow cooker (you want at least a 4 quart insert). 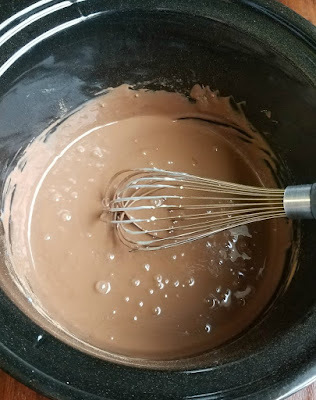 whisk together the sweetened condensed milk and cocoa until there are no lumps. Add chocolate chips, milk and half and half. Stir to combine. 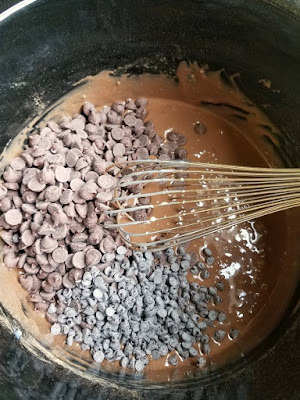 Cook on low for 2 hours, then whisk to ensure all chocolate chips are melted and to combine. Once smooth, you can drop the heat to warm to hold if you'd like. An absolute must! I love that it has sweetened condensed milk! Sounds so good, as you know, a big snowfall is coming at the end of the week, weekend, I may have to make up a batch of this goodness! Hi Carlee, I really wish I enjoyed hot chocolate. Every once in a while I do try one, but as much as I love chocolate and rich chocolate cakes I have a dislike of hot chocolate, chocolate milkshakes and chocolate ice cream. Strange I know! I would really love a cup of your very special hot chocolate on this very cold morning! Hope you are having a great week and staying warm. Thanks so much for sharing with us at Full Plate Thursday and come back soon! This hot chocolate looks fabulous. I sure could use a cup right now! I wish I had people coming over this weekend so I could share this. It sounds so good!